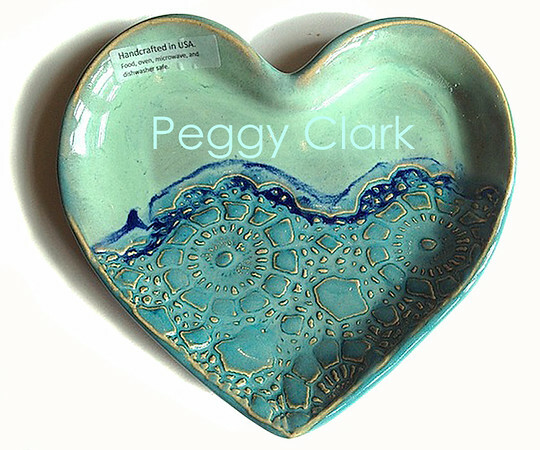 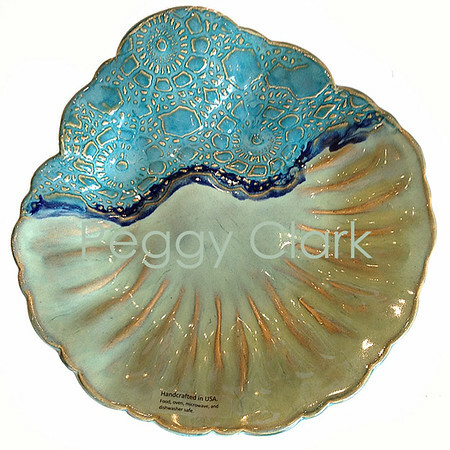 HEART TRAY (PLATE) by Peggy Clark is a handmade (approx.) 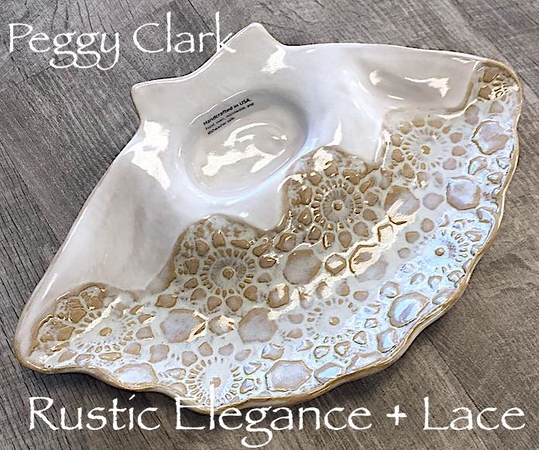 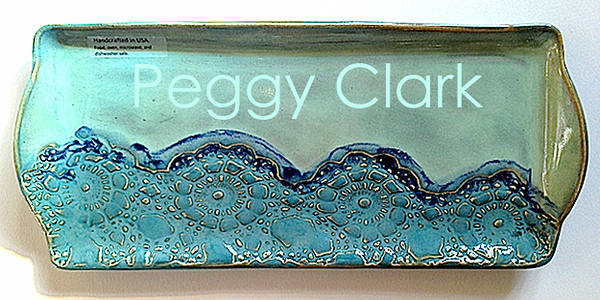 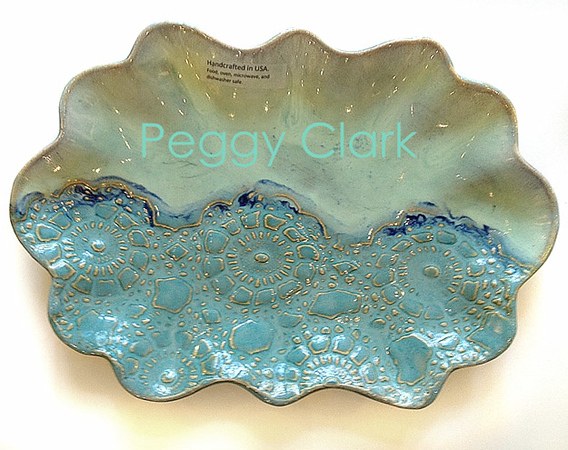 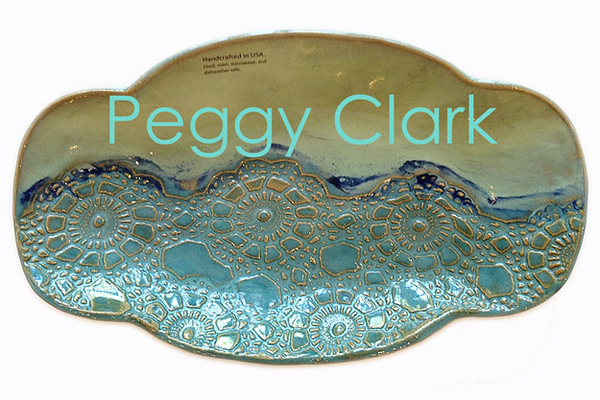 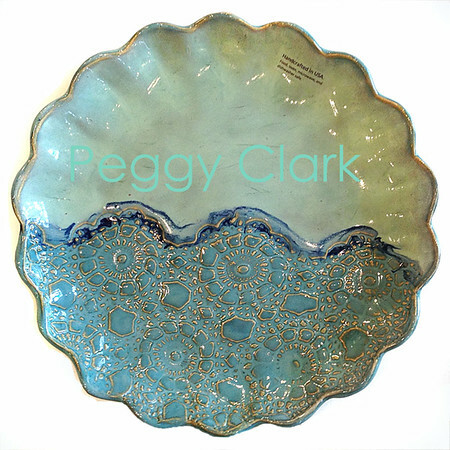 7 x 6.5 inch ceramic plate with her trademark Heirloom Lace-Ocean glaze. 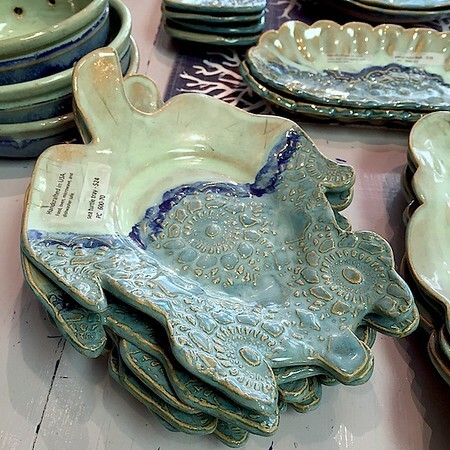 Each piece of pottery is made one at a time, either slab-made or wheel-thrown. 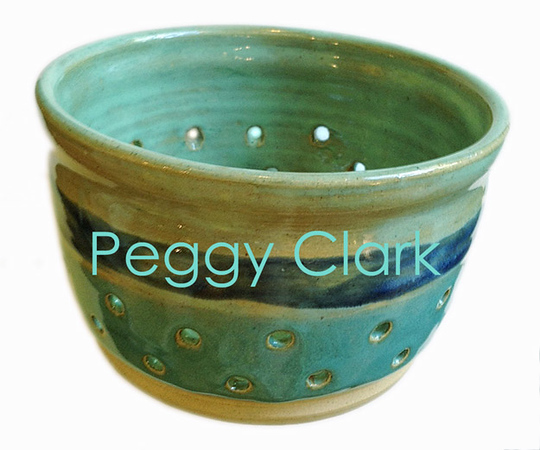 All of her pottery is lead-free, food, oven, microwave, and dishwasher safe. 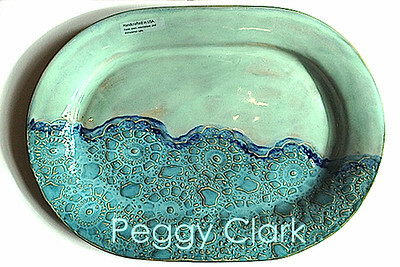 Slight imperfections are the nature of individually hand-made pottery. 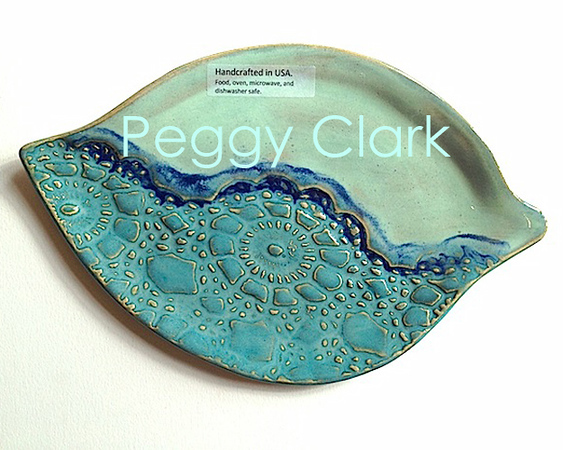 Shipping available in the Mainland USA. 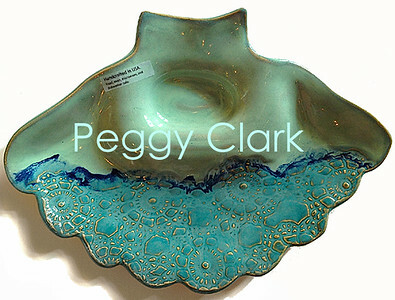 (Copyrighted Image - All Rights Reserved.) 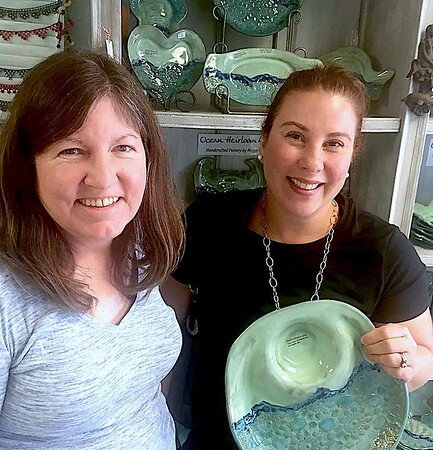 Thank you for supporting our artists!